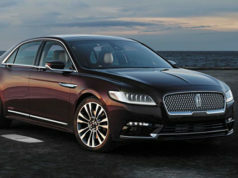 Earlier this Spring, Consumer Reports released the results of its annual "Top Cars" survey. Over 280 new vehicles were driven, scrutinized, evaluated and judged by C.R., with a view to things like safety, reliability, and road manners. Predictably, Japanese models took most of the top spots, although Korean manufacturer, Hyundai, had a significant presence this time around, and there were actually two North American models in the top ten. Before we get into it, however, a few notes. – Beleaguered manufacturer, Toyota, had some of its products passed over this time around – eight in all – because of ongoing recall campaigns and the fact that the company temporarily stopped selling some models. – According to C.R., Honda still leads the way in predicted reliability. The Insight Hybrid in particular, is at the top of the heap when it comes to dependability, as far as they're concerned. That said, Honda had no models in the top ten, mainly because of deficiencies in areas such as interior quality, fuel economy and fit and finish. – Cars are getting so complicated to operate, noted some of C.R.s testers, that "the increasing integration of mobile electronics are giving drivers more reasons to take their eyes and minds off the road." – Diesel-powered cars are better than ever, offering new levels of refinement, and up to 30 per cent better fuel economy than some of their gas-fulled contemporaries. With that out of the way, here are the top ten picks from C.R. for 2010. – Small sedan: Hyundai Elantra SE. 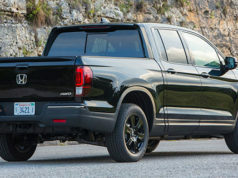 Well-priced, solidly built, "relatively" comfortable and plenty of features for the money, according to C.R. – Family sedan: Nissan Altima. 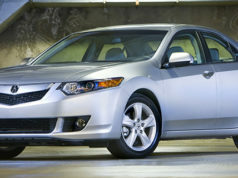 With the Toyota Camry sidelined, the Altima got the nod because of better fuel economy for 2010. Predicted reliability is not quite perfect, though. – Small SUv: Subaru Forester. Having full-time all-wheel-drive is no longer a hindrance to decent fuel economy, says C.R., and the Forester also offers excellent reliability. On the downside: it requires premium grade gas. – Sporty Car: Volkswagen Golf GTI. When I test drove this car, back in the Fall of last year, the car I was driving on the track suffered catastrophic engine failure. That's all I'm saying. – Family SUV: Chevrolet Traverse. About time The General got back in the game. "An impressive overall package", says C.R. Still not all it could be in terms of predicted reliability, though. – Green Car. Toyota Prius. Out-pointed the Honda Insight Hybrid mainly because it is a "full" hybrid, meaning it will run on pure battery alone….up to about 20 km/h. – Sports Sedan: Infiniti G37. This is the fourth year in a row the G-series has made it onto Consumer Reports� list. And you can get it with all-wheel-drive. – Family Hauler: Mazda5. I could n't agree more. Arguably one of the most driveble models on the market….part mini-van, part econobox. – Pickup Truck: Chevrolet Silverado 1500. Available in a dizzying variety of models and drivetrain choices, this one got the nod mainly because of its low base price. – Best Overall Car: Lexus LS460L. This is the famous – or infamous – "self-parking" Lexus and comes with virtually every automotive convenience feature you can imagine. Only for the well-heeled, though, with a price tag up in the $90,000 neighbourhood. – Worst Fuel economy: Ford F-250 Lariat pickup. – Worst road test score: Jeep Wrangler Sahara. Consumer Reports isn't perfect. It's been suggested that they approach their test cars with a built-in bias, and tend to favour fuel efficient, clean-running, sensible vehicles over those that have good performance or are fun to drive. Still, their approach is hard to fault. They actually purchase each vehicle they test and drive them thousands of miles over several months. Each car is also looked at by automotive engineers, journalists, and consumers, and C.R. staffers bring the vehicles home, where they're passed around and "lived with" by family members and so on. C.R. also takes pains to point out that each vehicle undergoes over 50 individual evaluations and tests and their reliability results are based on surveys covering some 1.4 million test cars, with feedback from the organizations subscribers, as well as testing staff.